On December 5, 2017, our Fairbanks family lineage was proven as direct descendants of Deacon Thomas Fairbank (1705-1791), a Patriot of the American Revolutionary War. 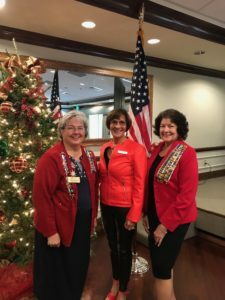 Proving an ancestor and your lineage qualifies you for membership in the National Society Daughters of the American Revolution (DAR). This will be a two part blog. In this blog, I will tell you about our proven Patriot, Deacon Thomas Fairbank of Lancaster, Worcester County, Massachusetts. Then in a future blog, I will discuss how our lineage was proven for each generation from the Patriot, Deacon Thomas Fairbank. You can already use Deacon Thomas Fairbank as your patriot if you can prove your direct lineage to him. You can use my proven lineage to Thomas Fairbanks as a reference for common generations. Both the NSDAR (National Society of Daughters of the American Revolution) and the NSSAR (National Society of Sons of the American Revolution) recognize my proven line. What is the DAR (Daughters of the American Revolution)? Revolutionary War. These committees shared information about the actions of the British government. They discussed common grievances. The committees also shared suggestions for a coordinated response to these grievances. This proved to enhance the solidarity among the colonies. What was The Provincial Congress? The Second Provincial Congress was occupied with raising an army. 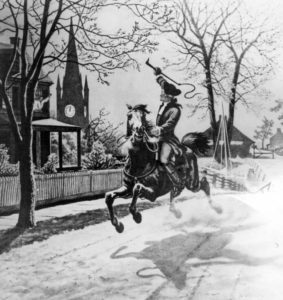 On April 8 1775, it resolved, “That the present dangerous and alarming situation of our public affairs, renders it necessary for this colony to make preparations for their security and defense, by raising and establishing an army…” They sent delegates to Connecticut, Rhode Island, and New Hampshire, to inform them of Massachusetts’ action. They proposed that the other colonies do the same. On April 19, 1775, the battles of Lexington and Concord were fought. 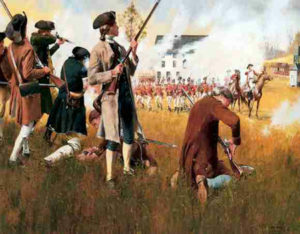 The Rebels then followed the British back to Boston and started the siege of that city. What were Deacon Thomas Fairbank’s Contributions in the Third Provincial Congress? On Saturday, June 17, 1775, the Rebels fought the British at Bunker Hill. Members of Congress pleaded with the President of The Third Provincial Congress, Honorable Joseph Warren, not to go into battle in his newly voted position of second major-general. The members of Congress knew his leadership was needed in Congress. 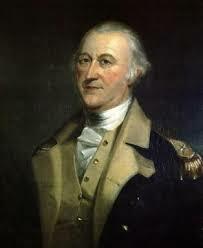 Unfortunately, Warren went to Bunker Hill, not as a leader, but to serve the leaders in the field. He was killed in battle and buried there with many other Rebel soldiers. By the afternoon of June 19th, President Joseph Warren had been confirmed as killed in battle. A new President, Honorable James Warren, was voted in as President. Joseph and James Warren were not relatives. During Deacon Thomas Fairbank’s seat on the Third Provincial Congress, other issues came before the members. The Congress urged the naming of Colonel Washington as the Commander General of the Continental Army. They also discussed the authorization of “armed vessels to cruise the American coasts, protect its trade, and annoy its enemies. The members were sworn to secrecy for many of their discussions, particularly this one. The Congress also had challenges. It was about time for the farmers to plant Indian corn, the staple for food and survival in the colony. It was difficult to enlist men to an army who needed to provide for their families. Organization at all levels was not stable at this point.